new ATL United - Bench Breck Shea - Please! new MLS Training & Solidarity Compensation??? 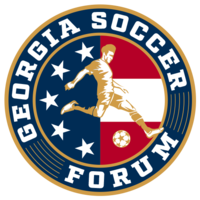 Georgia (GA) Soccer Forum, www.gasoccerforum.com - The premier forum for youth soccer. You can talk about anything here. Even World Cup 2018!! Georgia soccer discussions, rumors and news. Soccer discussions in general from any state. We want to encourage the growth of thoughtful and civil soccer discussions. Youth soccer or DA, high school or ECNL, RPL or NPL, SCCL, Atlanta United, ODP or National League, bring your soccer talk here.